Xing Libin, the chairman of Shanxi coal mining company spent an extravagant amount of money to ensure that his daughter has the best wedding day possible. 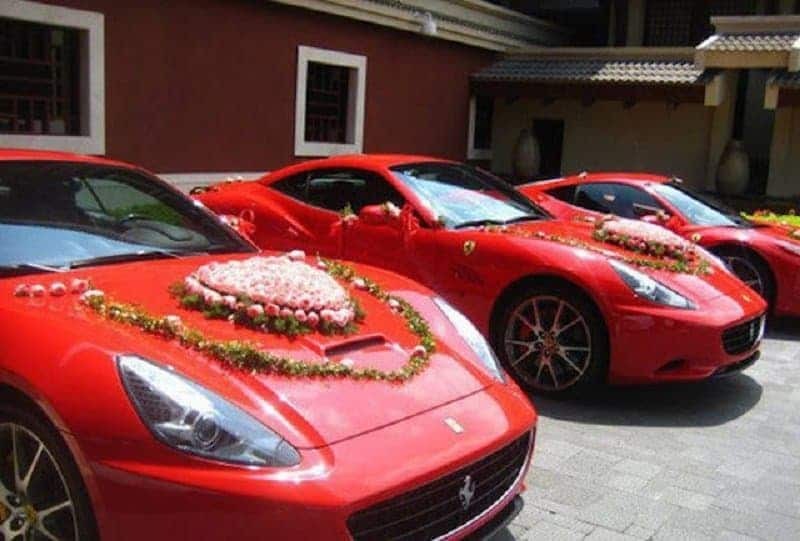 The wedding cost Xing 11 million dollars that include three private jets to chauffeur guests, accommodation in hotels like Marriot, Ritz and Hilton, and a dowry of six Ferraris. Collecting antiques is one of the most preferred hobbies for the wealthy in China. 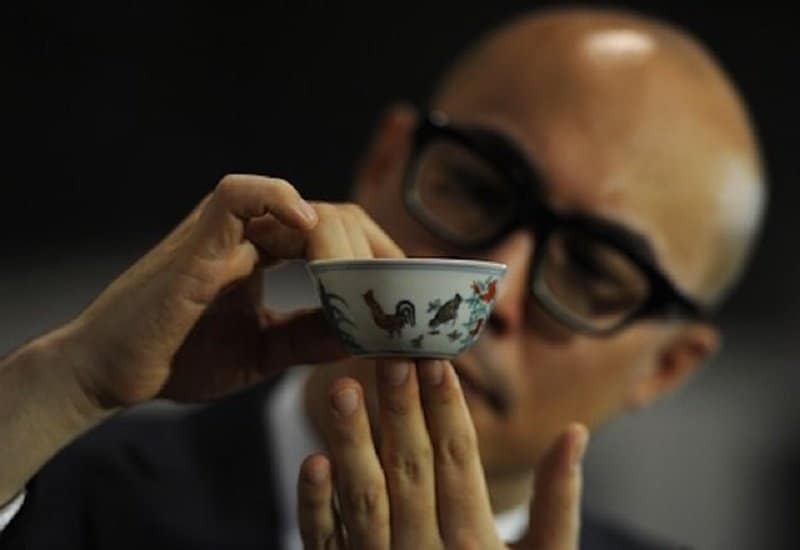 One of the richest people in the country, Liu Yiquan, recently made a successful bid of over 35 million dollars for a 500-year old chicken cup. 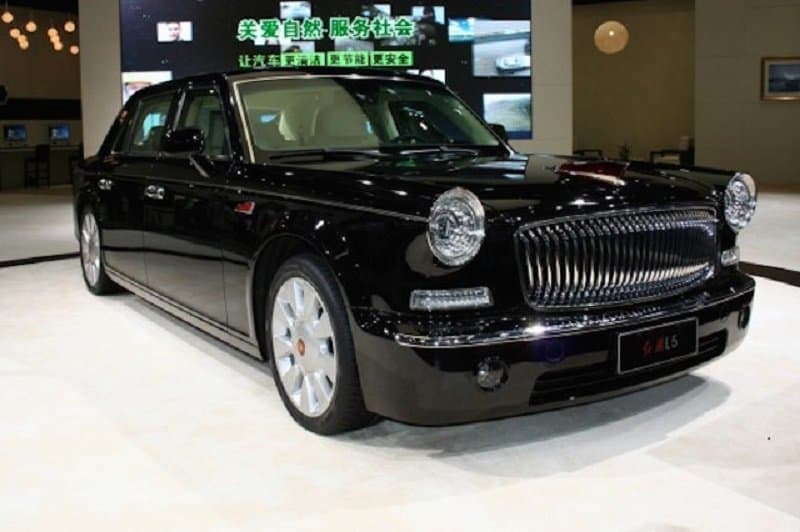 Hongqi L5 is a luxury sedan that is supposedly to be the costliest car in China. It was launched during the 2014 China Auto show and was picked up by a Chinese businessman for 800,000 dollars. The myth about the Chinese taking over the world may not be true, but they are capturing some prime real estate around the world. 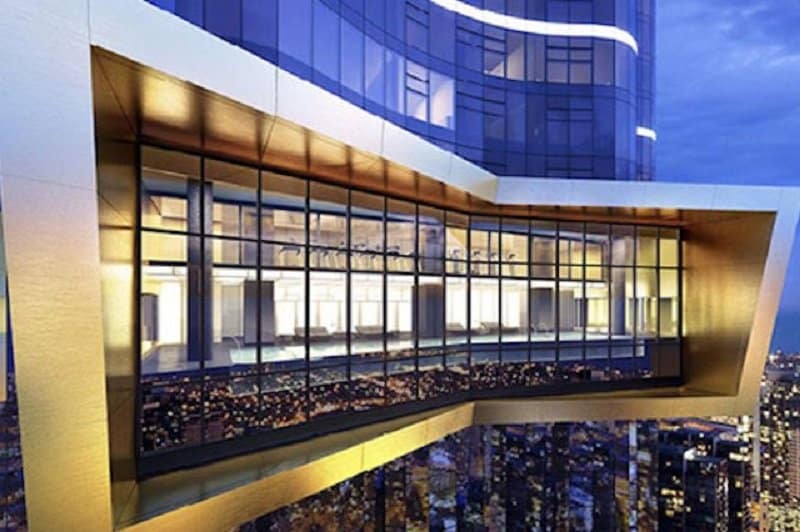 A Chinese billionaire recently purchased an apartment on the 100th floor in what is going to be Australia’s tallest building. This apartment complex is estimated to be finished by 2019, but one of its best spots was picked up for 25 million dollars. 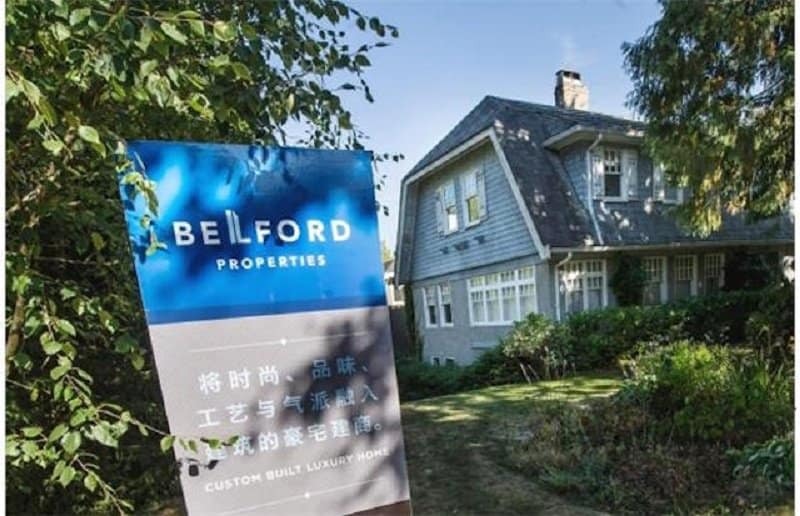 Vancouver seems to be one of the most popular cities in the world, and this hasn’t escaped the attention of Chinese billionaires. One particular buyer purchased a mansion in the region for 52 million dollars. The mansion is supposed to be so massive, that it has a parking garage that can fit 10 cars. Another buyer purchased a house for 2 million over the original asking price. 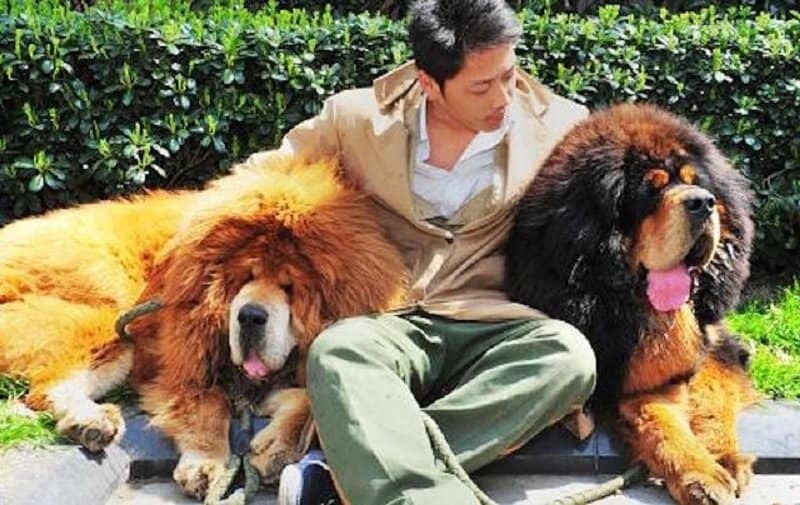 A property developer in China purchased a Tibetan Mastiff that is supposed to possess extremely rare and top-of-the-line pedigree. This dogs weigh nearly 200 pounds and was purchased for a whopping 2 million dollars. The Tibetan Mastiff is quickly becoming the new status symbol for the wealthy in China. The pup alone is supposed to cost 1.5 million dollars. Liu Yiquan, the man who purchased a chicken cup for 35 million dollars, also made one other significant purchase in 2014. 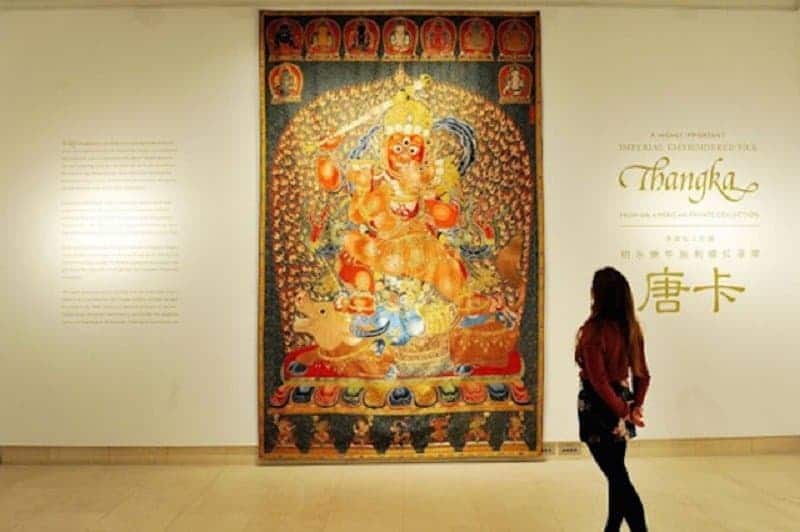 He purchased a rare and ancient silk tapestry for over 45 million dollars, a bid that is considered a new world record. The Chineses’ love for prime property clearly knows no bounds. 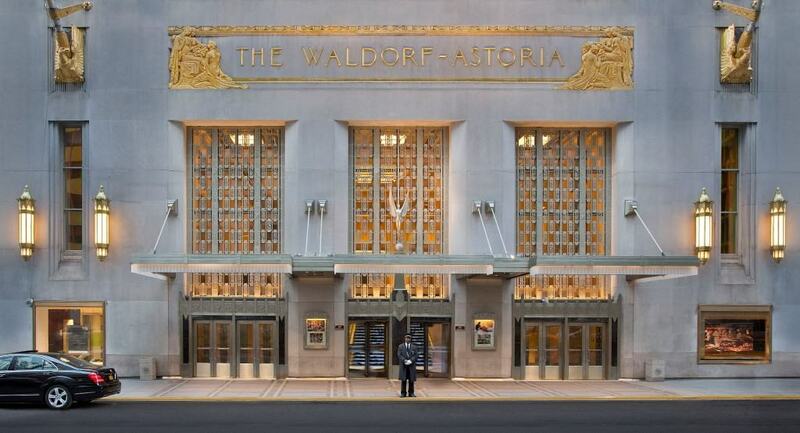 The most expensive hotel in the world – the Waldorf Astoria in New York, was recently purchased by a Chinese businessman for 2 billion dollars. The deposit for this transaction alone was 100 million dollars. The affluent in China seem to prefer art and artistic things. This is why the most expensive Steinway grand piano can be found in a Chinese home. 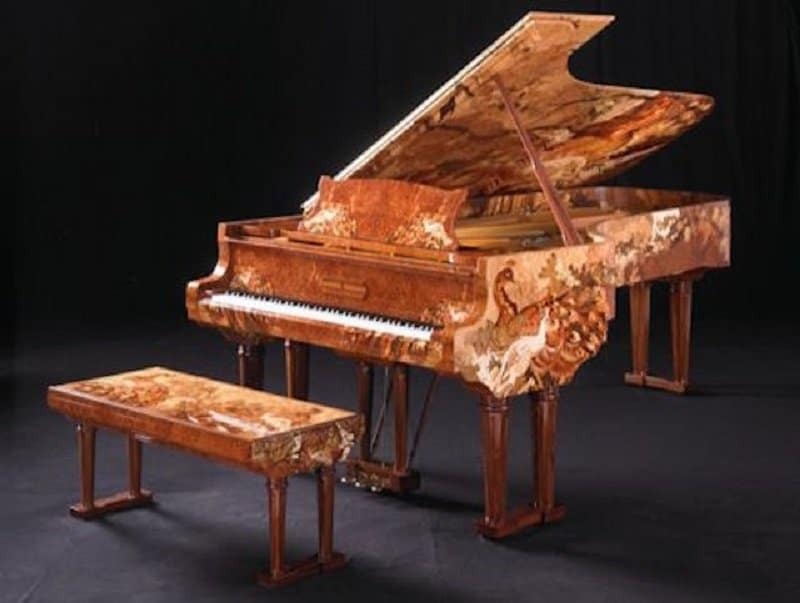 This particular piano was built over four years and cost 1.2 million pounds. This is because it used 40 layers of various types of wood and crystallized with gold. Buying electronics for your pet can be considered an eccentric move, but this seems to be the developing trend in China. 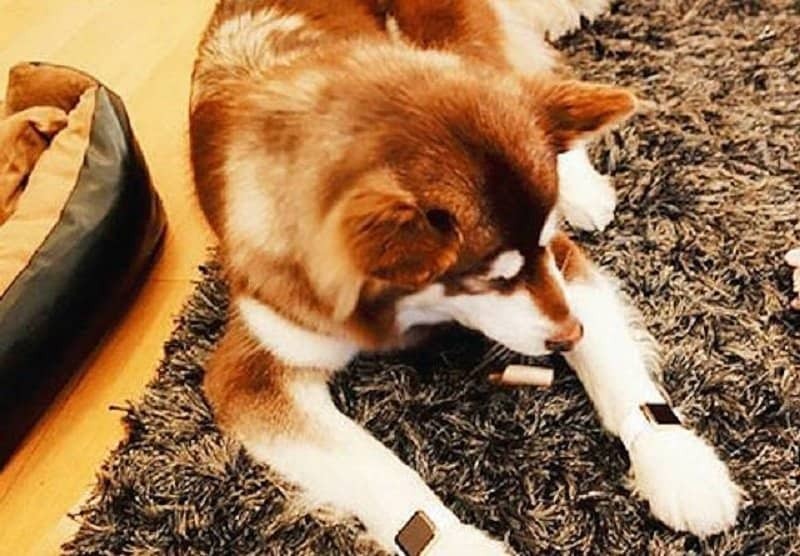 Wang Sicong, the 27-year-old son of one of the richest people in China purchased two golden apple watches for his husky Keke. Each of these watches cost Wang 20,000 dollars.